In 1967, Congress enacted the Age Discrimination in Employment Act (ADEA) for the purpose of ending age discrimination in the workplace. 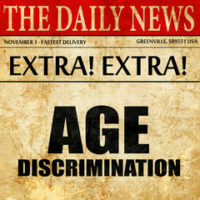 Having represented victims suffering from age discrimination for almost twenty years, our Alachua County, Florida age discrimination attorneys have learned that age discrimination remains widespread in both the private and public sectors. Older workers continue to endure ageist remarks, stigmatizing stereotypes, less favorable treatment from younger employees, and termination because many employers believe that productivity declines with old age. As explained by the U.S. First Circuit Court of Appeals in Hodgens v. General Dynamics Corp., 144 F.3d 151 (1st Cir. 1998), “smoking gun” evidence is “not required to prove [age] discrimination.” Such evidence rarely exists, because as observed by the U.S. Second Circuit Court of Appeals in Rosen v. Thornburgh, 928 F.2d 528 (2d Cir. 1991), “[a]n employer who discriminates is unlikely to leave a ‘smoking gun,’ such as a notation in an employee’s personnel file, attesting to a discriminatory intent.” However, as reflected in Penberg v. Healthbridge Management, LLC, 823 F.Supp.2d 166 (E.D. N.Y. 2011), employer sometimes leave written clues illuminating their mental process which can be used to establish an age-based discriminatory intent. In that case, Marc Penberg (Penberg) brought an ADEA action against his former employer, Healthbridge Management, LLC (Healthbridge), claiming he was wrongfully discharged on the basis of age. Healthbridge manages skilled nursing and rehabilitation facilities. Penberg was employed as director of marketing and supervisor of a marketing team seeking to place patients in facilities managed by Healthbridge. Penberg’s employment with Healthbridge ended when he was laid off as part of a reduction in force. Healthbridge alleged that Penberg was selected for the layoff due to his lack of a licensed clinical background. Penberg was 53 years old when he was laid off. Penberg claimed that he was selected for the layoff because of his age. In support of his position, Penberg contended that he always received excellent evaluations, brought in a greater percentage of patients than other employees, and was “the top performer in the New York Sales Group.” Penberg also produced evidence that 55% of those laid off were over 50, with only 35% remaining who were over 50. Penberg was notified that he was selected for the layoff by the Vice President of Human Resources. Around the time of Penberg’s layoff, the Vice President of Human Resources made a note pertaining to Penberg which stated: “January 20 back from [FMLA] leave, diabetic + 50.” Penberg further claimed that Healthbridge never asserted that he was selected for the layoff because of his lack of a licensed clinical background until his age discrimination lawsuit was filed. Healthbridge filed a motion with the trial court seeking dismissal of Penberg’s age discrimination claim. In doing so, Healthbridge asked the trial court to rule that Penberg’s age discrimination claim was meritless and Penberg was prohibited from bringing his age discrimination claim before a jury. The trial court denied Healthbridge’s motion for dismissal. The trial court found that the “note, with its reference to + 50,” when considered in light of [Penberg’s] performance record and the fact that no one mentioned the issue of his credentials until suit was filed,” raised “enough questions” about Healthbridge’s proffered explanation for selecting Penberg for the layoff “to warrant a trial.” Thus, the trial court concluded, whether Penberg’s age was a motivating factor in his discharge must be resolved by a jury. Based in Ocala, Florida and representing employees throughout Central Florida, we have extensive experience litigating age discrimination cases. If you have been the victim of age discrimination or have questions about your rights under age discrimination laws, please contact our office for a free consultation with out Alachua County, Florida age discrimination attorneys. Our employee rights law firm takes age discrimination cases on a contingency fee basis. This means that there are no attorney’s fees incurred unless there is a recovery and our attorney’s fees come solely from the monetary award that you recover.